Looking for the best Bluetooth wireless speaker? We listened attentively to some of the most popular speakers and highlight those that really stand out below. Some shine with great sound, others have outstanding battery life and yet others have extra features that you might be interested in. Of course, the price matters as well, so we have included the prices of each speaker. So which Bluetooth speaker should you buy if you had to shop today? Let's take a look at the pros and cons for each one of them right below. The JBL Charge 3 gets the top spot with its combination of extraordinary, 20-hour battery life and very good sound quality, plus neat features like its water-proof rating and ability to float in water, so it does not get lost if you drop it in a swimming pool at a party. The JBL Charge 3 also supports JBL Connect, so you can easily connect and sync two speakers at the same time to have stereo sound and more depth to that music. The JBL Charge 3 provides a lot of volume (and we mean, a LOT!) and a bass-heavy sound that many people like, and while it is not as clean and well-balanced as others, it still fares well in terms of sound quality. The UE Boom 3 is another great option that is waterproof and shockproof, and comes at a similar price as the JBL Charge 3. 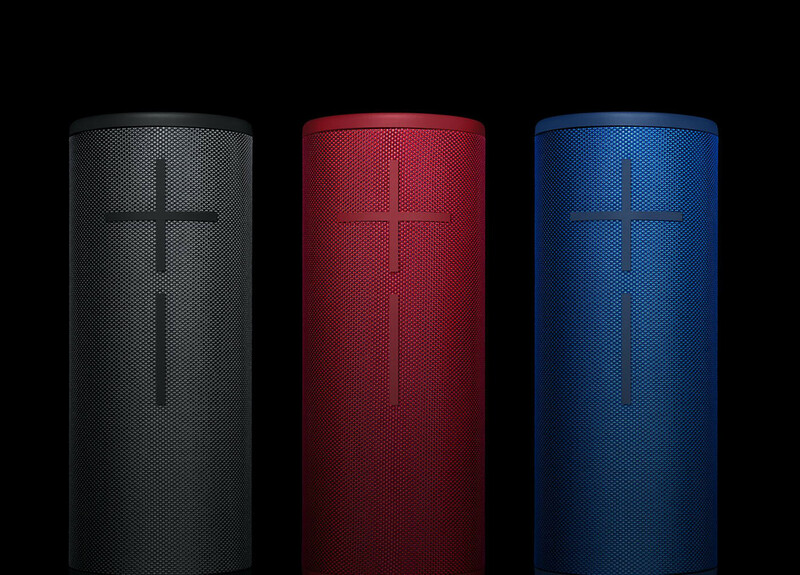 While earlier, UE Boom speakers had support for Amazon's Alexa voice assistant, it has now been revoked and this is just a regular speaker focused on great sound quality, but without smart assistance commands. In terms of sound quality, the UE Boom 3 is also excellent with crisp highs and mids, and an overall surprisingly powerful sound for its size. The Bose SoundLink Mini 2 might have the most outdated look of them all, but it has absolutely stellar sound quality that beats the JBL Charge 3 and UE Boom 2 by a long shot. It has a more open sound stage, with much better defined sound in both highs and lows, and it has sufficient volume to fill a room nicely. It sounds exquisit, especially considering its rather small size. 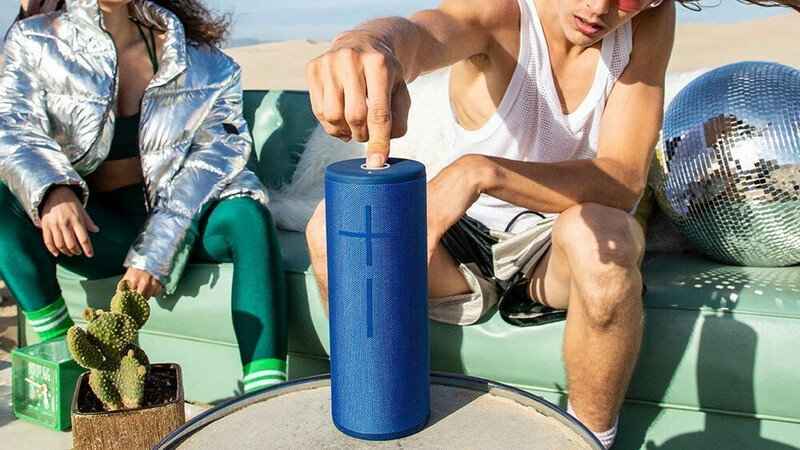 The UE Megaboom is probably the most popular large Bluetooth speakers out there and for a good reason: it blasts powerful 360-degree sound, allows pairing two speakers to get even more boom and has a rock solid connection that it can keep at distances of up to 100 feet. The stylish-looking Marshall Kilburn will look great in any home, but it's not just about the visual appeal as it also boasts a very clear and loud sound output that will definitely have music enthusiasts happy. With a boomy bass and an overall impressive sound quality, the large-sized JBL Boombox is one more great big Bluetooth speaker. You can also use this speakers as a power bank to charge up your phone. The JBL Flip 4 is a really nice portable Bluetooth speaker. The design is attractive, the sound is decent, and we especially like its water-resistance. Battery life is solid, and extras like the speakerphone and support for voice-based assistants are really nice. Maybe more than anything, the Wonderboom succeeds because of how reliable it is. It can survive a drop up to five feet, will safely float rather than sink to the bottom of a pool, and features like its multi-speaker mode are always easily accessible, without forcing users to download an extra app: you just take it with you, and the music follows. The cute circular Bluetooth speaker by Ultimate Ears has the one big advantage of being extremely portable and very likable. Unlike other similar speakers, it cannot float in a pool (you need to use the included accessory), but it is water protected and features a surprisingly good sound. Also, it comes in some crazy colors that will definitely appeal to the younger crowds. The Vava Voom 20 is another popular affordable option that surprises with better sound that its price tag would suggest. Finally, the very cheapest yet still good option that we can recommend is the Doss Touch, a $30 speaker that truly has a very good sound quality and a 10-hour battery life. I can vouch for the SoundLink mini. Have the original one for 3 years and it’s sound quality for the size is outstanding. Btw, Victor you can also use Bluetooth with all the Amazon Echo's and Google Homes, including their smart displays. The Google smart displays also allow casting from you smartphones, tablets as well. To me the best bang for your buck is the smart displays, especially if you can still get them on sale. Well worth it. This would be nice but I feel this is going to take a while for a maker like JBL upgrades to BT 5. My house is already multi-room audio for cheap, thanks Google. Codecs matter not a bluetooth version. Don't allow yourself to get ripped off. Don't ever pay more than $50 for a bluetooth speaker. I disagree. With speakers (up to a certain point with my ears) I think a $150-500 speaker is much better than a $50 speaker. If you are paying $300 or above for great sound, then you should look at JBL's smart display stereo speakers, or LG's stereo smart display. They both offer high quality audio, and they come with Google Assistant, and Chromecast capabilities as well. Well worth the money. Amazon's second generation smart display has good audio as well. @bucky. "With speakers (up to a certain point with my ears) I think a $150-500 speaker is much better than a $50 speaker." Pfffft.... no bluetooth speakers are worth $500. Only retards pay that much then pretend to be audio "connoisseurs" to cover up and justify their stupidity. No wonder you young idiots have so much credit card debt and the banks get so rich. Learn the technology before making comments like no Bluetooth speakers are worth lots of money. "Only retards pay that much then pretend to be audio "connoisseurs" to cover up and justify their stupidity.". AptX HD offers really high quality sound. Look it up yourself. I picked up a Nakamichi BT-SP80 for around $70 at Sears when they were offering a special where you got $70 back in rewards. Including eBay and the coupon I used, they wound up paying me about $15 to buy it. I was really surprised by the sound quality, especially the bass. It's really fantastic. Very heavy, though. Anything Jawbone should not be included, since the Jamboxes haven't been supported in several years. Not sure if Jawbone is even in business anymore? Anker Soundcore should be mentioned. It should....but it isn't cheap enough for them to include in the 2 cheap options, but not big name enough to warrant consideration for the midsize/large options. There are a lot of smaller brands that make awesome speakers for cheaper than UE/JBL/Bose, but they're rarely mentioned by the big sites. https://www.amazon.com/HyperGear-Waterproof-Resistant-Dustproof-Microphone/dp/B01J4HCBZG 2.1 + 30w rms + 15h battery time + $50! Do you have this speaker? Always had Bravens. Always been good to me. Im no Audiophile but the doss and anker soundcore for under $30 are my picks. Why is B&O not mentioned here? B&O produces bluetooth speakers that are definitely better than some of the bluetooth speakers that you see in this selection. A good example of an incredibly stylish speaker with a great build quality, portable size and fantastic sound for its size is the Beoplay A1. Furthermore, the Beoplay A1 is omnidirectional, so it plays sound evenly in every direction instead of being directional like a few of these speakers. These are just my 2 cents. I'll stick with my beloved Fugoo Style XL. Best bluetooth speaker I've ever had and don't plan on changing to anything else. I currently own both the JBL Charge 3 and the Bose Soundlink Mini 2 and I believe that those two are some of the best on the market right now if you are into NATURAL sounding speakers. Other types of speakers can sound: 1. Sharp, clinical "Hi-Fi": like the new Denon Envaya etc. 2. Muddy, yet metallic: almost all Sony speakers, though they have the deepest bass of all in comparison to their size. 3. No bass at all: most other speakers including UE (which, on the other hand, handle most of the other things really well). While the JBL can get slightly louder with a bit more dynamics retained, the Bose has an incredible DSP. The DSP in the Bose removes almost all intermodulation distortion (present in the JBL) and boosts bass dramatically for lower level listening. Plus, despite being twice smaller, the Bose can reach as deep as the JBL. On the other hand, the JBL has some sort of charm in its crunchy sound. My Bose unit has a really great battery life which is even topped by the incredible JBL Charge 3. If I have to separate it like that: Bose - great for quiet to medium home listening / JBL Charge 3 great for medium - loud home and outside listening. (I have previously owned multiple other speakers and have tested almost everything on the market right now). If you like natural sound you can't go wrong with either the JBL Charge 3 or the Bose Soundlink Mini 2. The Xiaomi is incredible! Great punchy bass, all metal body, loud. Very, very good. Just don't get UE. They're inferior to JBL and Bose in sound quality.